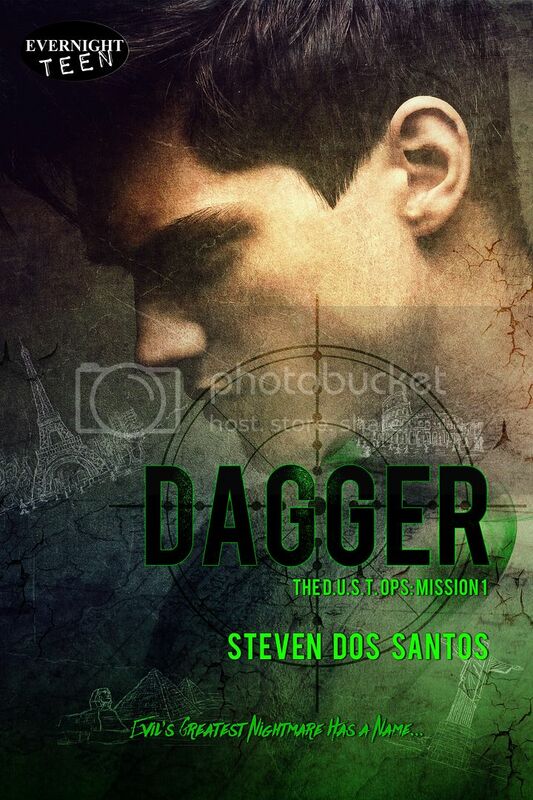 Today, I'm really happy to be taking part the cover reveal for Dagger by Steven dos Santos. I was a huge fan of The Culling by dos Santos, still really looking forward to reading The Sowing - and now I'm excited to hear in September, Dagger will be released! When Ultimate Evil engulfs the entire world, only Dagger can pierce the Darkness—even if the Apocalypse falls on a school night! Dagger Beaumont is a High School senior who’s been recruited by D.U.S.T. – a covert governmental organization dedicated to battling supernatural terrorism all over the globe. However, Dagger’s unresolved conflict over his missing brother could be his undoing, as he races around the world battling the Dark Reich, a diabolical organization on a quest to possess an ancient artifact and unleash a mystical plague to enslave humanity. If that weren't treacherous enough, Dagger must juggle his life as a secret agent with his social life, where he faces romantic rivalry for the guy of his dreams, a mysterious and handsome new student at his haunted boarding school. But in a high-stakes world where nothing is as it seems, and death lurks in every shadow, love rides shotgun with survival! From Goodreads. How awesome does this sound?! And how awesome is that cover? I am so excited for it! If you are too, you might want to enter the Goodreads giveaway!